Do you love unicorns and cats? If you do, then you're sure to love this ever so georgeous, heat color changing mug. 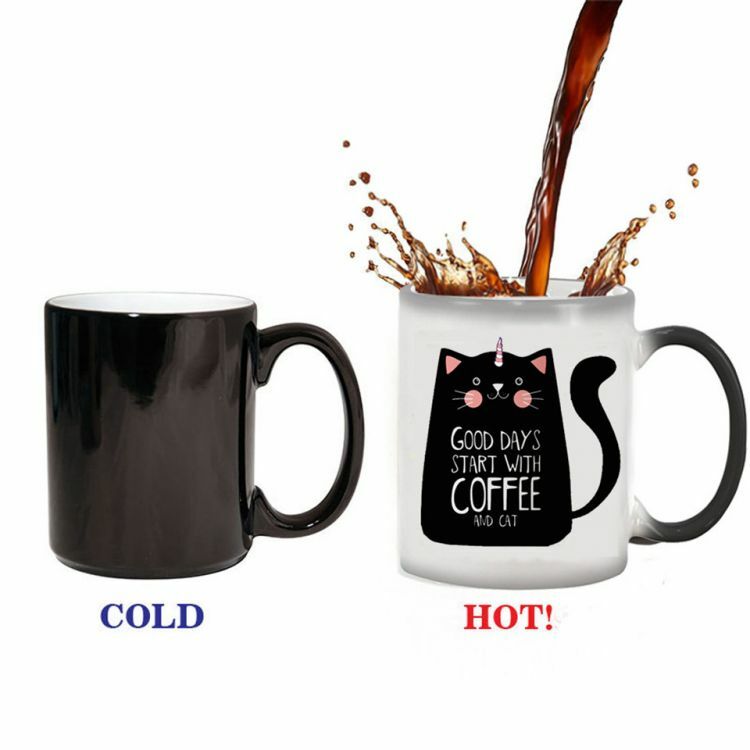 It will go from a plain and boring black mug when its cold however the magic happens when you add heat to it, like hot water, it will reveal the cute "Uni-Cat!". This makes the perfect present for that cat lover or unicorn lover!